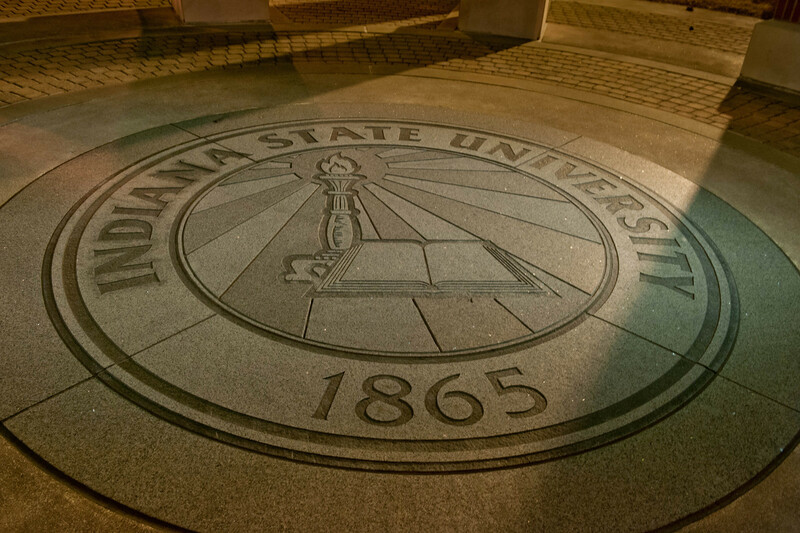 Sycamores will be called on to show their Indiana State University pride while impacting current and future students through financial contributions made during the inaugural Give to Blue Day on March 13. 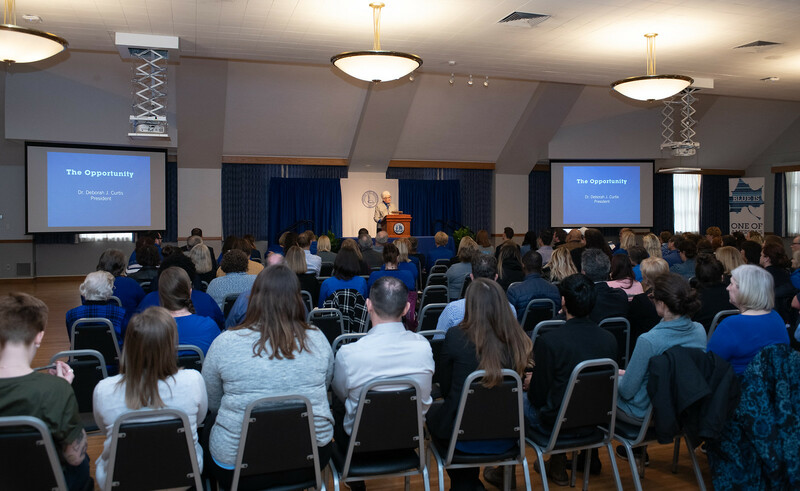 The day of giving, which was officially announced by university officials during the Founders Day program today (Feb. 6), will allow internal and external constituents an opportunity to showcase their pride for the university by giving back to Indiana State. "Give to Blue Day is a celebration of Indiana State University, which will unite our Sycamore community and increase philanthropic support for our campus," said Andrea Angel, vice president for University Advancement/CEO of the Foundation. "Everyone from alumni, students, faculty, staff, parents and friends of ISU can be involved in Give to Blue to make a significant impact with our strength in numbers." Give to Blue Day will start at midnight March 13 and end at 11:59 p.m. March 13. All supporters of Indiana State are invited to make a contribution, and donors can designate gifts of any size. The goal is for 1,000 donors to participate. "Indiana State is excited to launch our first university-wide day of giving. Improving philanthropic support is a critical component to advancing our university," said Deborah J. Curtis, Indiana State president and alumna. "I am looking forward to participating on March 13, and I hope alumni, faculty, staff, students and friends of Indiana State will join me." Go to indstate.edu/givetoblue for more information about Give to Blue Day. Stay up to date on social media by using the hashtag #GiveToBlueDay. Anyone interested in supporting Give to Blue Day with a matching or challenge gift may contact the Division of University Advancement at Indiana State by calling 812-237-6131 or via email at fdn-giving@indstate.edu. Photo: Photo: https://photos.smugmug.com/Events/Events-by-Year/Campus-Wide-Events-2019/Founders-Day-2019/i-rFJC4Pd/2/d93d8983/X3/02_06_19_founders_day_2018-0470-X3.jpg - Indiana State University President Deborah Curtis speaks at the Founders Day celebration on Wednesday, Feb, 6, when the announcement was made about the inaugural Give to Blue Day on March 13. Give to Blue Day will allow internal and external constituents an opportunity to showcase their pride for the university by giving back to Indiana State.